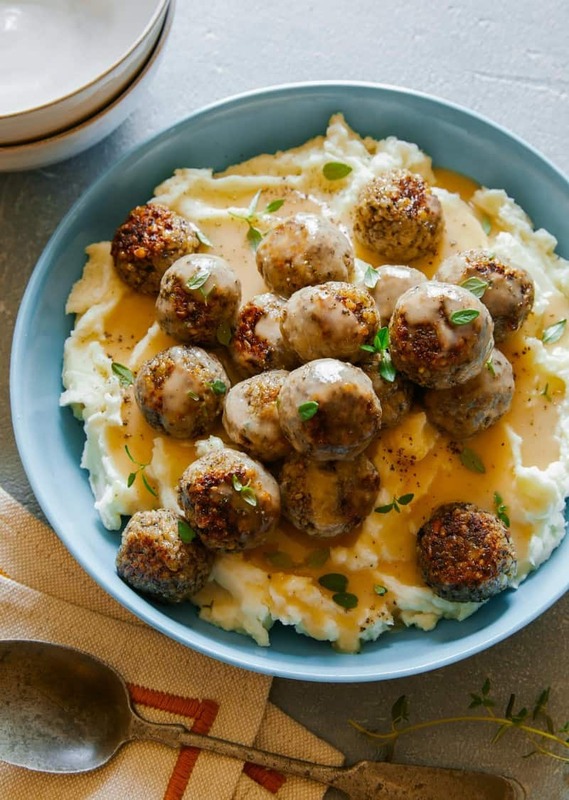 We’re starting the week off with a fully vegan meal, that’s still very cozy and warming, our Meatless Swedish Meatballs Over Mashed Potatoes and Gravy! This is a perfect, winter meatless Monday type of dish! I love the meatballs because the mushrooms in them still make them seem ‘meaty’, and they’re just really flavorful in general. They’re also pretty easy to make! If you’re not feeling the mashed potatoes on this one because you don’t want to double up on the carb situation (there’s some brown rice and panko in the meatballs) I highly recommend you sub in our Cauliflower, Parsnip and Roasted Garlic Mash! It’s SO good, and while it’s not vegan, you can swap the butter out for a vegan butter and swap the cream out for the nut milk of your choice and BOOM, it’s vegan! Love this! Sure looks delicious. My husband would love these! 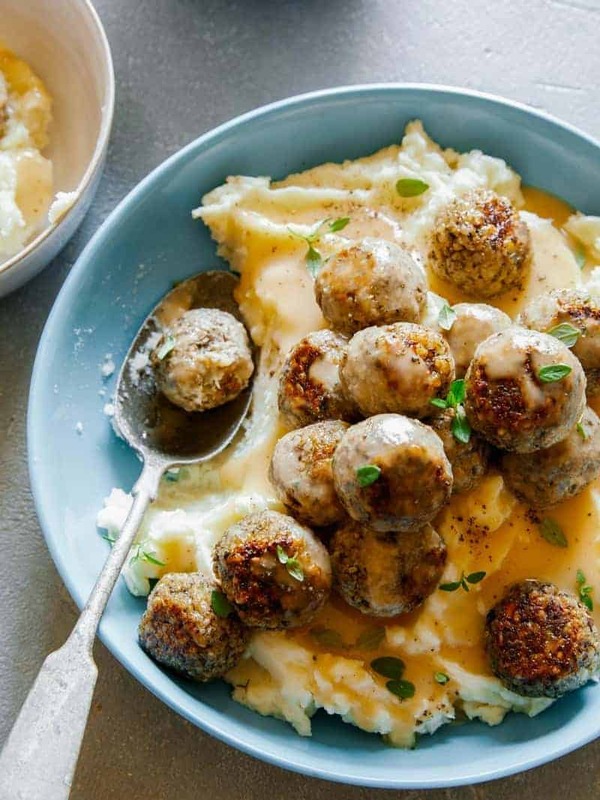 I’ve been craving Swedish meatballs, so thank you for posting this! Do you think if the meatballs are prepped on Sunday, up to step 4, they would be OK to finish on Monday night? Or should they be cooked and then chilled?